The Ball Cap was designed for a very special, and very smart-alec’ed friend who is going through a rough time, health-wise. 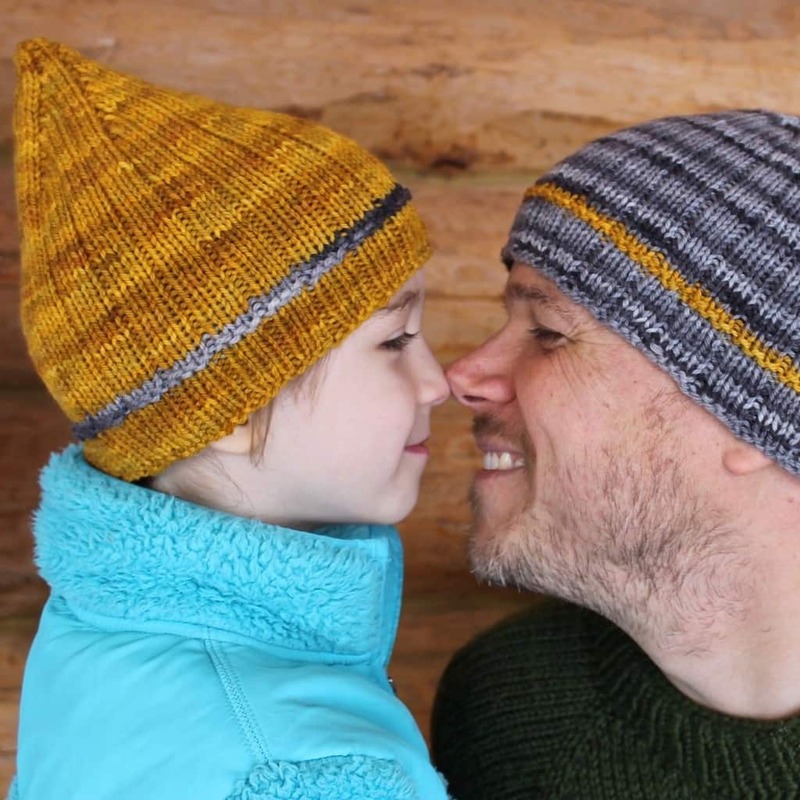 His last name is Ball, he has hinted quite strongly for a hand-knitted hat, AND I had an armful of Blue Moon’s bouncy and amazing Targhee Worsted, so what’s a knitter to do? I had to make the boy a hat! And then I got a bit obsessed and ended up making five. 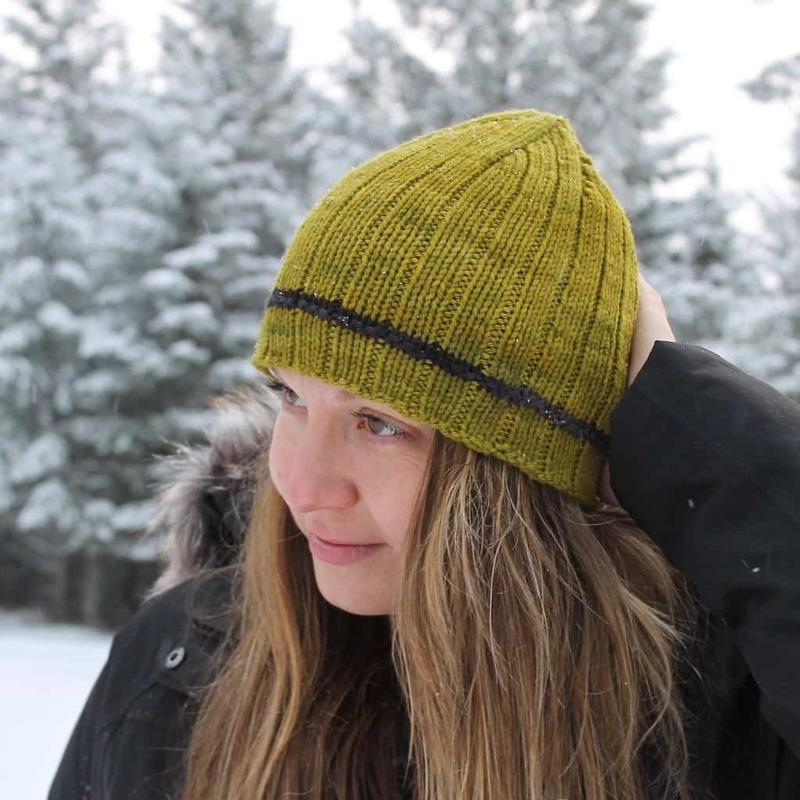 This is a quick pattern, perfect for holiday knitting. It takes very little time, and the finished product is perfect for anyone on your list. There are two crown options – rounded or pointy. Yarn: approximately 130-180 yards worsted-weight yarn. I used Blue Moon Fiber Arts Targhee Worsted in Black Onyx (black) and Spawn of Scum (green) & Stormy Weather (grey) and Ochroid (yellow) & Bladderwrack on the Rocks (brown) and Spawn of Scum (green). Needles: US8/5mm needles for small circumference knitting, or size needed to get gauge. Gauge: 22 sts = 4”/10 cm in k3, p1 rib, measured after blocking.